The dramatic success of ibrutinib has created a more hopeful reality for people with lymphoma, as targeted therapies fill the pipeline. Elie Dolgin is a science journalist in Somerville, Massachusetts. When doctors first diagnosed Peter Younis with Waldenström’s macro-globulinaemia in 2004, there were few drug options available. 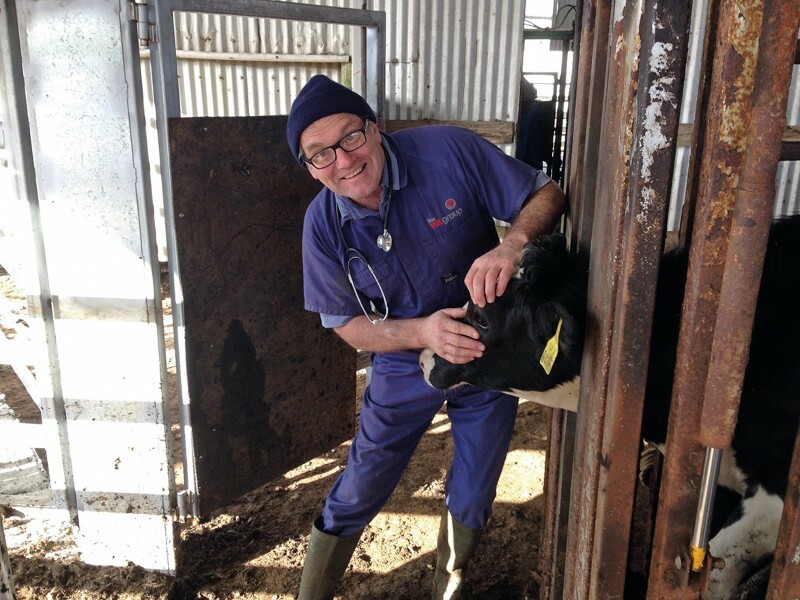 Like most people with this rare type of non-Hodgkin’s lymphoma, Younis, a cattle veterinarian from Port Campbell, Australia, received a regimen of three chemotherapy agents. Nearly a decade later, his cancer returned. But in the intervening years, the treatment landscape had changed dramatically. Clinical testing was under way for a new class of targeted agents called Bruton’s tyrosine kinase (BTK) inhibitors. These precisely block a molecule in the signalling pathway that turns B cells, a type of white blood cell, cancerous in most lymphoma cases. Leading the BTK inhibitor pack was ibrutinib. Several other targeted agents were in the works that blocked different points of B-cell receptor signalling, but harsh side effects either limited their clinical uptake or scuttled their development entirely. Ibrutinib, by contrast, proved fairly mild. Moreover, it brought about swift and sustained remissions across a range of lymphoma types, even in patients whose disease relapsed after they tried other therapies. Younis is a living testimonial to this new world of lymphoma therapy. Had he relapsed just a few years earlier, he would probably have had little choice but to roll the dice on another round of chemotherapy. Instead, when his cancer returned in 2014, ibrutinib was entering its pivotal phase III trial for treating Waldenström’s — regulators around the world would later make the drug the first therapy approved for treating people with the condition. (A second drug, rituximab, was approved by US regulators in August for people with Waldenström’s, but it must be used in combination with ibrutinib.) In addition, there was a newly launched first-in-human trial of zanubrutinib, a more potent and potentially safer BTK inhibitor. Because Younis’s only access to ibrutinib would have been through a placebo-controlled trial — and he didn’t like the idea that he might not be getting the real thing — he opted instead to enrol in an early-stage, open-label safety trial of zanubrutinib. He was one of the first people in the world to be treated with this BTK inhibitor. The US Food and Drug Administration (FDA) led the world’s regulators in approving ibrutinib in late-2013 for people with previously treated mantle-cell lymphoma, an aggressive non-Hodgkin’s lymphoma that forms in the outer edge of lymph nodes. Additional approvals soon followed for chronic lymphocytic leukaemia in 2014, Waldenström’s macroglobulinaemia in 2015 and several other indications after that. The drug is now taken by tens of thousands of people worldwide, and brings in around US$5 billion a year for its makers. But that outcome was far from certain. In fact, the molecule almost never made its way out of the laboratory. Chemists at Celera Genomics in Alameda, California, created ibrutinib in 2005 as a ‘tool compound’ to study BTK function, but they never considered it to be a suitable drug candidate. After all, it formed permanent covalent bonds with the BTK protein, and the general consensus among drug developers at the time was that irreversible binding with unintended targets would lead to unacceptable toxicities. So a year later, when Celera decided to get out of the drug-development game and focus instead on diagnostics, the company offloaded ibrutinib for a pittance. Pharmacyclics in Sunnyvale, California, put up $2 million plus an equity stake to acquire the bulk of Celera’s therapeutic assets. Even if targeting BTK to treat lymphoma was not Pharmacyclics’ initial priority, Miller saw potential in the strategy. A haematologist–oncologist by training who now runs a start-up called Corvus Pharmaceuticals in Burlingame, California, he knew of a rare genetic disorder in which children born with mutations in the BTK gene never develop B cells, and thus have frequent infections. If these children lacked B cells for genetic reasons, Miller reasoned, then therapeutically wiping out BTK could bring about the same effect for people with cancer by destroying the overactive B cells that go rogue in lymphoma. “Mother nature did the experiment for us,” Miller says. Chemists at Pharmacyclics tried to tweak ibrutinib to make it bind reversibly to its target. But time and again, the chemical derivatives performed worse than the original molecule in lab experiments. Finally, the company decided to move forward with ibrutinib as is — industry dogma about covalent drugs be damned. Despite the promising data, Miller couldn’t find a major pharmaceutical firm willing to partner with Pharmacyclics to take ibrutinib forward. No one liked the drug’s chemical properties. As Pharmacyclics’ former chief medical officer Ahmed Hamdy puts it, the industry had an “allergic reaction to covalent compounds”. It wasn’t until the Pharmacyclics team delivered impressive initial phase I results2, showing safety and efficacy across various lymphoma subtypes in humans, that big pharma came calling. In 2011, Janssen Biotech in Raritan, New Jersey, entered a co-development deal worth nearly $1 billion. Four years and three FDA approvals later, the bio-pharmaceutical giant AbbVie in North Chicago, Illinois, paid $21 billion to buy Pharmacyclics outright. Following the clinical and financial success of ibrutinib, attention in the drug industry shifted to finding other ways of jamming B-cell-receptor signalling through different molecular targets or better BTK blockers. The FDA has approved three PI3K inhibitors and one BCL2 blocker. Now, dozens of trials are ongoing to test whether combining any of these newer agents with ibrutinib will yield improved responses. Other clinical studies are evaluating the potential of giving ibrutinib as an add-on for people undergoing immunotherapy. “These are all complementary strategies that can be combined,” says Adrian Wiestner, a haematologist at the US National Heart, Lung and Blood Institute in Bethesda, Maryland. The challenge now, he says, is getting past the “steep learning curve about how to use these new agents for maximum benefit”. Several drug companies are also working on BTK inhibitors that are more selective for the target — and thus may be less toxic than ibrutinib. Although ibrutinib is better tolerated than any lymphoma drug that came before it, it still triggers side effects such as debilitating diarrhoea and bleeding. “Many patients end up stopping the therapy,” says haematologist Jeff Sharman at the Willamette Valley Cancer Institute in Eugene, Oregon. The first next-generation BTK inhibitor to hit the market was acalabrutinib from Acerta Pharma in South San Francisco, California. Although acalabrutinib binds and blocks BTK in much the same way as ibrutinib, it is thought to be more potent and less likely to inhibit off-target enzymes. “That could make it better and safer,” says Hamdy, who co-founded the company after leaving Pharmacyclics in 2011. A large head-to-head study is now testing whether acalabrutinib is indeed more efficacious and tolerable than ibrutinib in people with high-risk chronic lymphocytic leukaemia. In a similar vein, zanubrutinib from the Beijing-based biopharmaceutical company BeiGene — the drug that Peter Younis continues to take on an experimental basis and that is thought to offer many of the same pharmacological benefits as acalabrutinib — is being evaluated against ibrutinib in a phase III trial for people with Waldenström’s macroglobulinaemia. Other BTK inhibitors are also in earlier stages of development for patients who develop resistance to ibrutinib. For now, most BTK inhibitors are reserved as second-line treatments for lymphoma, used only after the disease has relapsed following chemotherapy. But clinical evidence of the effectiveness of these drugs is piling up. Constantine Tam, a haematologist (and Younis’s physician) at the Peter MacCallum Cancer Centre in Melbourne, Australia, thinks that, at least for some types of lymphoma such as Waldenström’s, “you’re going to see chemotherapy slowly fade away in the next 10 years”. Not every form of lymphoma has been equally responsive to BTK inhibition. 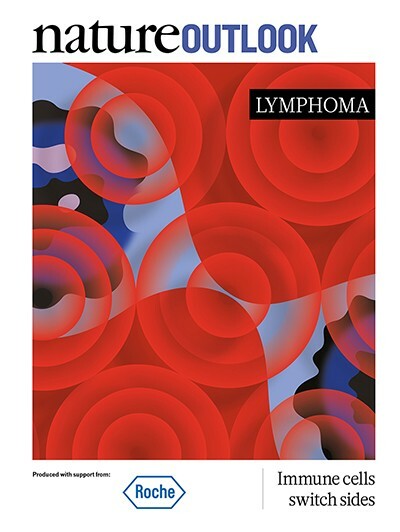 In a phase II trial of ibrutinib in people with follicular lymphoma, only 23 out of 110 participants responded. And when given as an add-on to chemotherapy in people with diffuse large B-cell lymphoma (DLBCL), the most common form of lymphoma, the drug failed to outperform chemotherapy alone in a large phase III study. According to Louis Staudt, director of the Center for Cancer Genomics at the US National Cancer Institute in Bethesda, some people with DLBCL might still benefit from ibrutinib. Doctors just need to take a more personalized approach, he says. Over the past decade, Staudt’s work with cell lines, mouse models and patients has shown that B-cell-receptor signalling is chronically active in one subtype of DLBCL with specific gene mutations. Patients who display these genetic markers are therefore particularly responsive to ibrutinib therapy. Earlier this year, Staudt and his colleagues worked out why. They showed that several proteins expressed by the mutated genes form a complex that cooperates with a cancer-causing protein to promote cancer-cell survival3. But this interaction is dependent on BTK. Block that molecular crosstalk with ibrutinib, and the cells tend to shrivel and die. 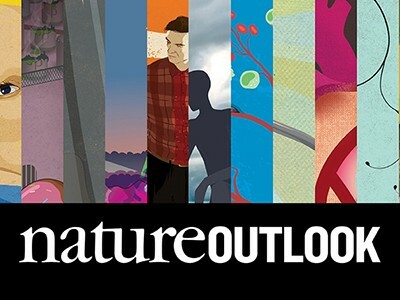 This article is part of Nature Outlook: Lymphoma, an editorially independent supplement produced with the financial support of third parties. About this content. Honigberg, L. A. et al. Proc. Natl Acad. Sci. USA 107, 13075–13080 (2010). Advani, R. H. et al. J. Clin. Oncol. 31, 88–94 (2013). Phelan, J. D. et al. Nature 560, 387–391 (2018).